HNA Hospitality Group has teamed up with Deer Jet to launch a new product called ‘Dream Trip between Hong Kong and Tahiti’. The new bespoke tour will let tourists take the world’s first 787 Dream Jet and enjoy seven nights’ stay in St. Regis Bora Bora Resort. Also included is a chance to fully experience the enchanting scenery of The Place Nearby, which Tahiti is often called by high-end tourists. 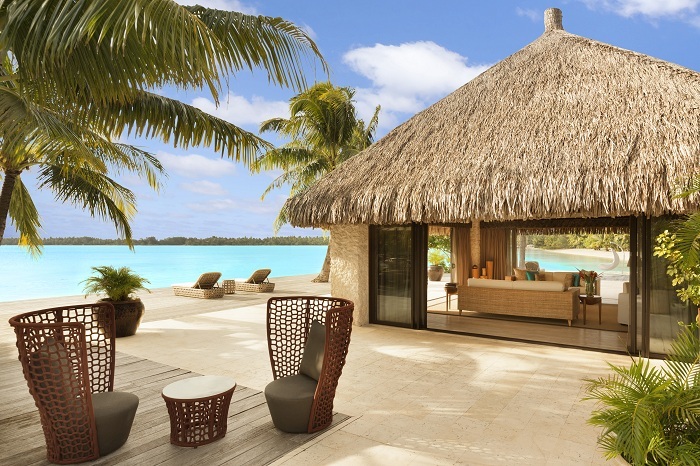 HNA Hospitality Group completed its acquisition of the St. Regis Bora Bora Resort in June 2016, marking HNA Hospitality Group’s hotel network entry into the southern hemisphere. As China’s earliest and Asia’s largest business jet provider, Deer Jet has received high recognition from political leaders and members of royal families who have had their flight experience provided by the carrier. This Dream Trip between Hong Kong and Tahiti is an important step for HNA Hospitality Group to cooperate with Deer Jet to integrate tourism resources. Both sides hope to provide more special and high-value tourism experiences for China’s high-end outbound tourists through this high-end tourism cooperation. Tahiti is the largest island of the five islands of French Polynesia in the South Pacific, as well as the political and economic centre of Polynesia. It is like spring all the year-round and rich in natural resources with many regarding Bora Bora as the most beautiful island in the world. St. Regis Bora Bora Resort is located on the northeast of Bora Bora. With considerate butler service and unique local culture, St. Regis Bora Bora Resort offers an incomparable experience of bespoke luxury for guests from all over the world. 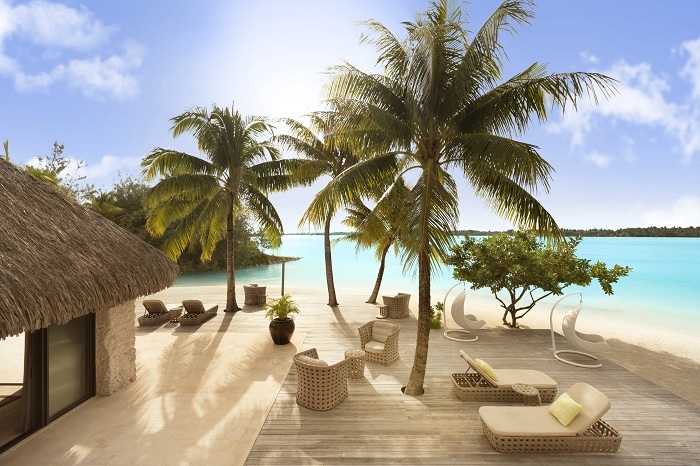 The resort boasts 91 rooms, including the famous overwater villas which sit on stilts over the sea. Every room of the resort is equipped with a private lounge, outdoor shower, balcony, swimming pool and so on, and a private beach facing Bora Bora’s sparkling lagoon. The Dream Trip gives tourists a magical experience that includes seven nights free from the hustle and bustle of city life and the opportunity to make close contact with nature via surfing sessions in pristine water or exploring Mount Otemanu with its wild landscapes. The first Deer Jet operated 787 Dream Jet of came into service in 2016. Its fuselage was elaborately designed by the world’s top designers and aeronautical engineers, and the 220 square meter interior is designed to provide a comfortable experience for the crew, host and guests. Meanwhile, the jet utilizes soundproof, smooth sailing and other leading edge technology, which will provide the most comfortable flight experience for tourists. The cooperation is an important attempt to integrate internal resources of HNA Group and take advantage of related industries. HNA Hospitality Group will seize the opportunity created by the rapid development of China’s outbound tourism, combined with resource superiority, thereby providing professional and international accommodation products for Chinese outbound tourists. HNA Hospitality Group is the hotel management arm of HNA Tourism Group. Founded in 1997, HNA Hospitality Group boasts a global hotel network. As of December 2016, the group operates around 3,200 hotels with nearly 380,000 rooms, in key cities in China as well as other parts of the world, with brand portfolio ranging from luxury, upscale to budget segments, catering to both business and leisure travellers. It has been ranked as the top 300 hotel group in the world and garnered prestigious industry accolades such as the most competitive Chinese hotel brand and the best hotel management group in China. Breaking Travel News recently took a tour of the Dream Jet when it visited London Stansted.